Did a fun little shoot today for a photo project for an Australian friend today. I’ll let what it’s for and whatnot be a surprise, but I wanted to share something not often witnessed… me dressed to the nines. I asked photographer Scott Toepfer for some assistance, so he stopped by the shop today to see what we could make happen. Scott is known for his striking motorcycle photography and video, “It’s Better in the Wind”. So I pulled out my lil red dress and got all done up. 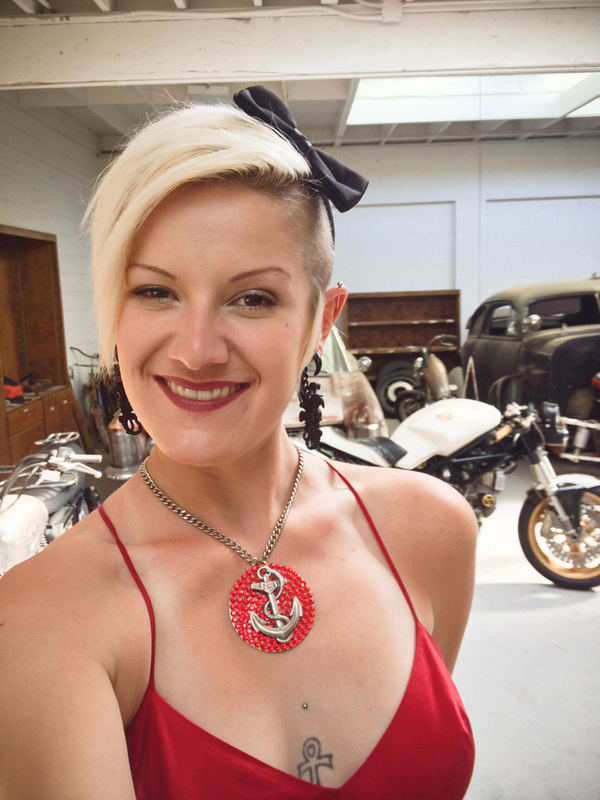 My Gasoline Glamour (gasolineglamour.com) anchor necklace matched perfectly. 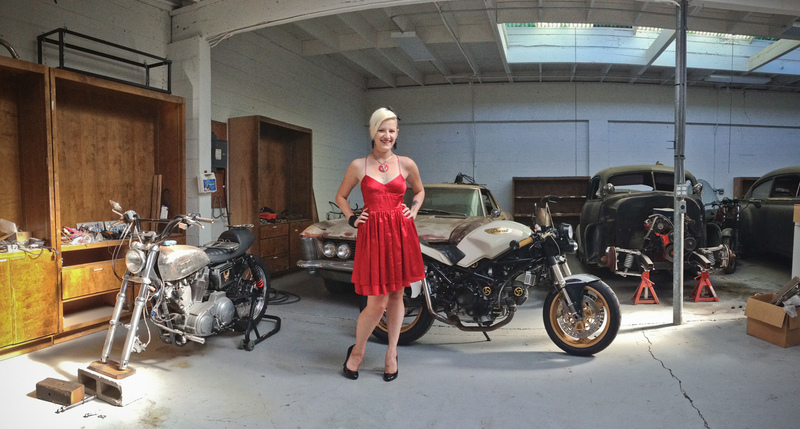 I may have been in a dress, but I was still surrounded by what I love most… so it wasn’t that strange and different! Haha… no, in all reality this is part of where the name MotoLADY came from. Gettin’ dirty and dressin’ up! Can’t wait to share the finished product!